Waco’s Latino History far predates the city itself. The land of Central Texas once belonged to the Spanish empire, and then Mexico, until Texas fought for its independence in 1836. After almost another decade of struggle, Texas joined the United States and started down the path to becoming to Latino-Anglo melting pot it is today. Before long, a Spanish immigrant by the name of Jacob de Cordova came to town and officially founded the city of Waco. Ever since, for over a century, the Latino population of Waco has had a tremendous impact on the growth and development of the city. During the Mexican Revolution, Waco’s Sandtown neighborhood proved to be a safe haven for Latino immigrants and Latino Americans fleeing border violence. Then, with the closing of the Reservation, suddenly an area flush with large houses became available for little cost. And so Calle Dos was born, a thriving Latino-American community. The anchor of this community became the local mutualista, an organization that celebrates Latino culture, aids immigrants, works for the betterment of the community by providing healthcare, and education, and fights for worker’s rights. The Latino community had further shared its gifts and strengths with the larger Waco community through art, food, music, and houses of worship. 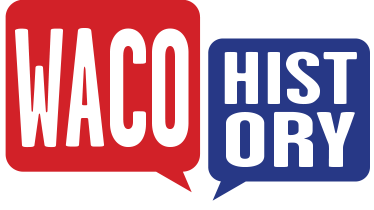 See on this tour some of the places, people, and events of Latino history that have made Waco what it is today!